Brendan heads up Open Box in North America. In this role he is responsible for our US-based consultancy team as well as client delivery. Brendan is a knowledge addict. His need to understand how things work is what initially propelled him to join Open Box as a developer. Through his tenure at Open Box he has grown his passion for people through his Key Account Management role. 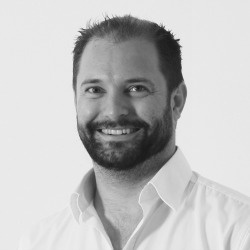 Combining his technical and people skills Brendan progressed into the role of Head of Business Development, where he was pivotal in growing Open Box's global client base whilst ensuring that each new project transitioned from an idea into a successful project. Brendan's wealth of Real Estate specific knowledge combined with his project experience means he is adept at understanding and translating each client's needs into a structured offering underpinned by a strong focus on return on investment. As a qualified PADI Open Water Dive Instructor, Brendan relishes any opportunity to be underwater.